When did you find this arrowhead? I was playing with kids in the sand. 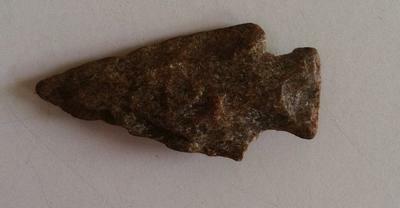 I went to rinse my hands off in the water and the arrowhead was brought to me from a wave!